It’s THAT time of year again. Grocery shopping with a list a mile long, cleaning the house from top to bottom and scouring through recipes trying to pick out the perfect dish. I love Thanksgiving! Our family enjoying Thanksgiving dinner together. — Please excuse us, everyone looked liked that in the 80s! Growing up, it was always my favorite holiday. We rarely got together with extended family, so it was always a quieter day at home as a family of six. Our mom would get up early and work hard to get the turkey roasting. We rotated each year, taking turns assisting her to ensure that we learned how to make a turkey dinner. We loved “helping” her as she made the stuffing from scratch. The best part was pulling out and eating croutons that had soaked up warm butter before she added anything else to the bowl! Pies were always on the agenda, though I believe that my mom made them the day before. I always remember her making apple and pumpkin pies, but I think when I was young, I was more interested in the Cool Whip that went on top! As we got older, we made other kinds, our favorites of course. She had no problem having us take over the pie baking responsibilities! 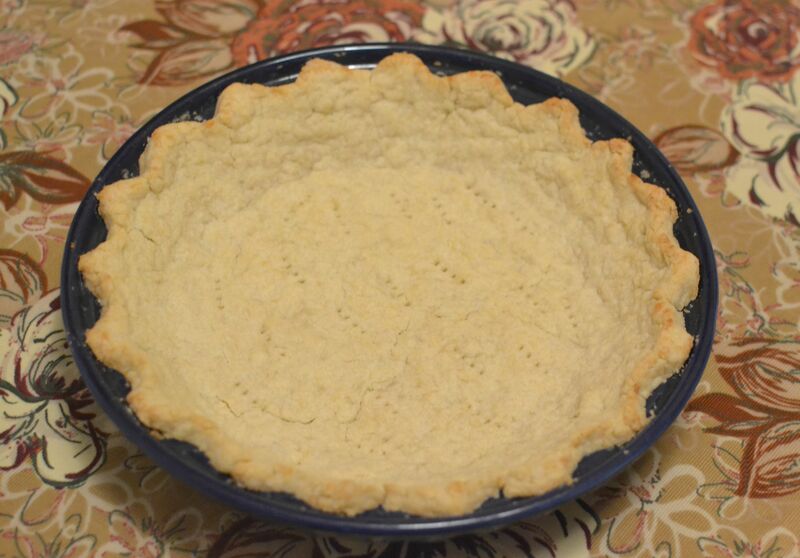 My mom has the most simple pie crust recipe, one that requires no rolling out! She’s used it for years and taught us to make it. I still use it. 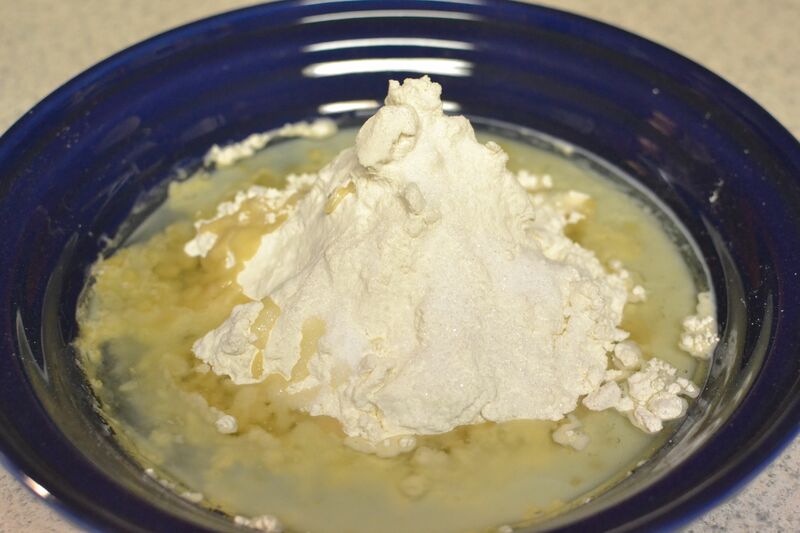 It’s a great recipe because there is no shortening in it and it’s really fast to make….and did I mention that you don’t have to roll it out?! Measure all ingredients into pie plate. Combine with fork. 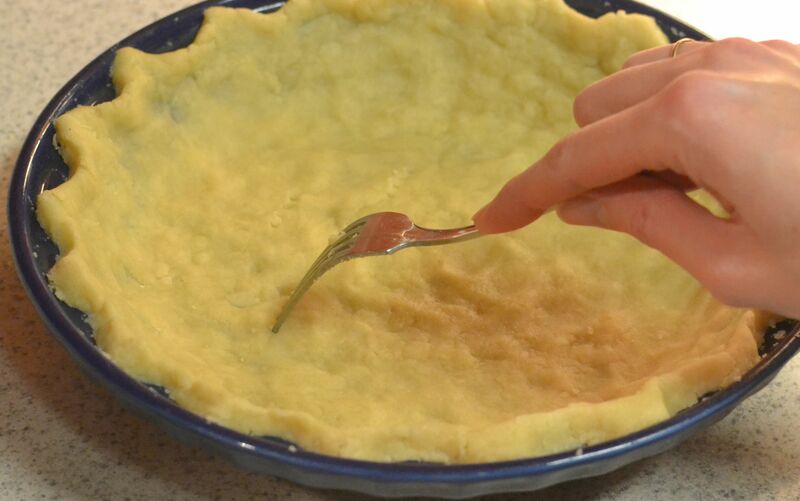 Press into pie plate with fingers. Prick with fork many times. Bake at 425 degrees for 10 minutes or until lightly browned. I started out by measuring all of the ingredients into my pie plate. It’s so nice to not use other dishes or especially, THE ROLLING PIN!! The mess stays contained! Next, with a fork, I combined all of the ingredients until they came together as a dough. Using my fingers, I pressed the dough down flat and up the edges to form the crust. Once it was shaped the way I liked it, I crimped the sides along the top, though you wouldn’t have to do that. I pricked the bottom of the crust in several places with my fork. This is done so that the crust won’t bubble up and look uneven when it’s baked. I popped it into my preheated oven and baked it for 10 minutes. The edges turned golden brown. It only took about 20 minutes total and I had a beautiful pie crust that looked like I’d spent hours on! I went on to make a Chocolate Pudding Pie Filling from scratch to fill this pie shell. (I’ll explain how I did that in our next post.) If chocolate doesn’t suit your fancy though (which really, how couldn’t it?!) you can fill this crust with any filling. If you want to make a fruit pie, don’t pre-bake the crust before you add the fruit filling. Add a crumble topping crust to the top for a great match with this Pat In crust bottom. So before you start panicking about the homemade pie you are supposed to be bringing to your Thanksgiving meal, but don’t know when you’ll ever get the time to make, take a deep breath and start patting out this quick easy crust. It will look great and taste even better. Plus, the best part is that they’ll think you spent HOURS making it! 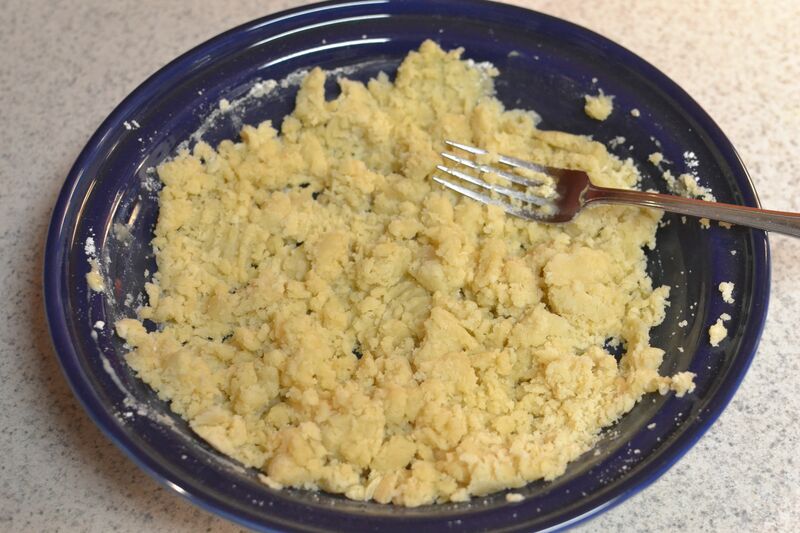 This entry was posted in bonus recipe, Pie Crust and tagged baking, dessert, farm cooking, homemade, Pastry, Pie, Pie Crust, scratch cooking, Thanksgiving Pies by GrandmothersRecipeBox. Bookmark the permalink. oooo, I like the “less mess” aspect of this!! I just might try it! I have FIVE pumpkin pies to make today!!! love how this worked out! I feel like it took waaaaay less time than it would have to roll them out! And crisco is hard to come by here so the oil was great! thanks again! So glad to hear, Liz! You can also use this crust for things like quiche if you simply leave the sugar out when you make the dough. Well, since you saved all that time not having to roll out all those crusts, you get to put your feet up and relax for awhile! 😉 Enjoy! Sounds good Felicia! Let us know how it turns out!